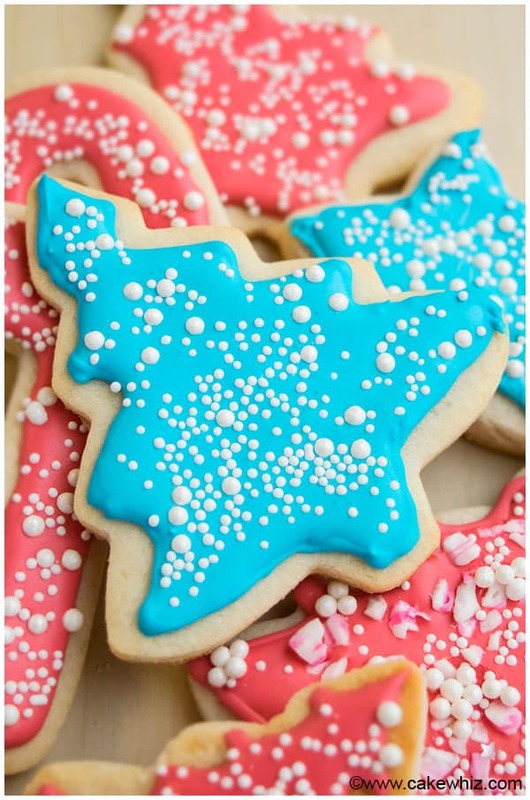 Use this tutorial on how to make royal icing recipe for piping and decorating sugar cookies. This quick and easy cookie icing dries hard and tastes great. When I FIRST started cake decorating, I didn’t know how to make royal icing or what the heck it was used for. Well, imagine my SURPRISE when I decorated a dozen cupcakes with this icing, resulting in such WEIRD and crusty tops ….hahaha. 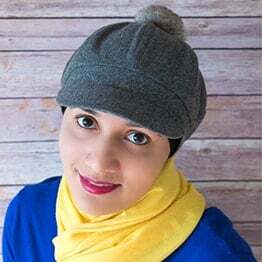 Thankfully, I have LEARNT a lot since then and today, I am sharing everything I know and answering the most common questions I have gotten over the years. fThey are great for the upcoming HOLIDAY season. Once the icing dries, you can stack them, pack them and SHIP them to family friends. I am really fond of Rodelle extracts and use it a lot in my baking and especially frostings. I truly believe that your recipe is only as good as the ingredients you use and Rodelle products are high quality with strong flavor and aroma. 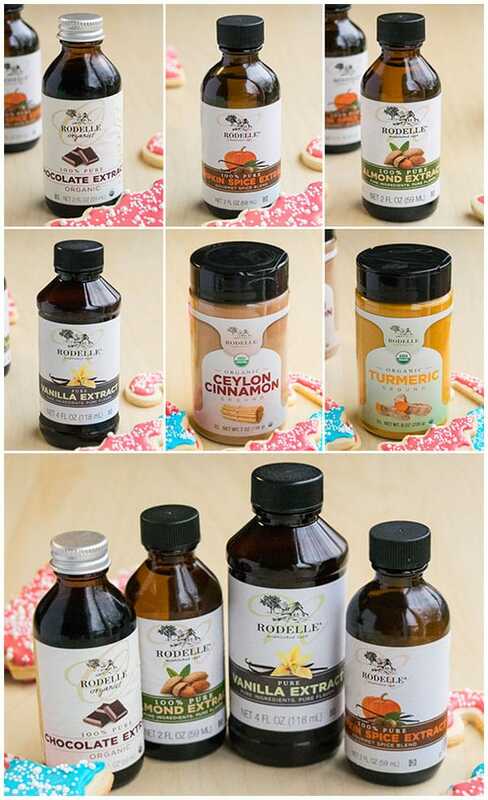 CLASSIC royal icing uses vanilla extract but Rodelle has so many other AMAZING extracts that you can use as well. Thanksgiving is the perfect time to use their pumpkin spice extract, which smells HEAVENLY! You can also add some turmeric or cinnamon powder instead of extracts. However, keep in mind that turmeric will give your icing a natural yellow color. What’s royal icing? What does royal icing taste like? What is royal icing for cookies? This icing is a type of frosting that is most commonly used for decorating sugar cookies and piping and doing intricate scroll works on cakes. It dries hard and dried fast and tastes VERY sweet and usually has a vanilla flavor. 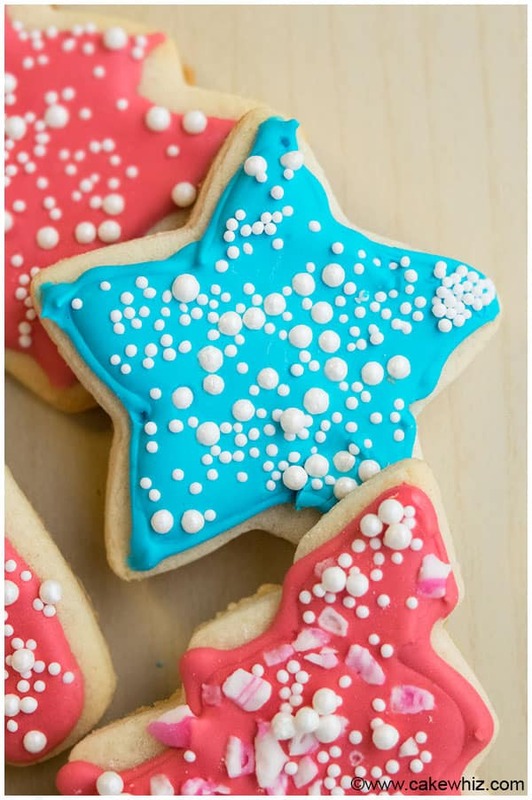 How to make royal icing with meringue powder? This icing is made by mixing together egg whites or meringue powder (dried egg whites) with powdered sugar (also known as icing or confectioners sugar) until soft peaks form. It can then be tinted in different colors. Why use royal icing? When is royal icing used? What is royal icing used for? 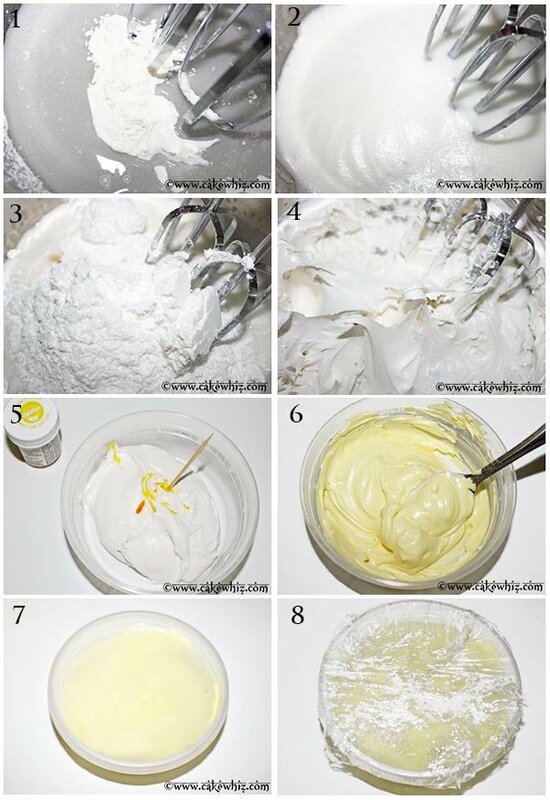 This icing is used for any type of cake/cupcake/cookie decoration that needs to be dry, hard and not spread. This is why cookies decorated with this icing are so popular as party favors. This icing is also commonly used to decorate traditional wedding cakes that require a lot of detailed scroll work. How do you color royal icing? How do you make black royal icing? This icing should be colored with gel food coloring. Liquid food coloring is not recommended since that can change consistency of the icing. 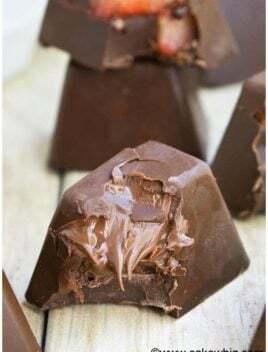 For black icing, use black gel color but it’s very important to let the icing sit for a about 6 hours and allow the color to develop and deepen. How much royal icing do you need to cover a cake? You NEVER use this icing to cover your cakes. You have to use soft buttercream frosting for that. Royal icing dries hard and will create an awful crust on your cake. But that being said, this icing is excellent for adding decorations on your cakes such as flowers. 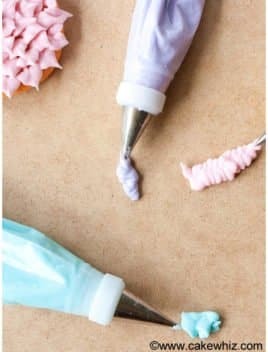 How to make royal icing flowers? Any flower that you can pipe in buttercream icing can also be made with thick royal icing. The only difference is that flowers, which are made with this icing will dry hard and can be stored for months (in a cardboard box at room temperature, away from moisture, humidity and sunlight). Here is a tutorial on how to make easy icing flowers. Why is royal icing not hardening? Why royal icing won’t harden? 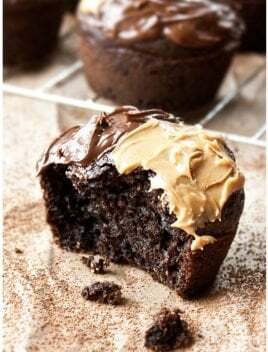 The mixing bowl and any other utensils you might have used to make your icing had some grease and oily residue from oil, shortening or butter that interfered with this recipe. This icing MUST be made in squeaky clean equipment. Your egg whites were not fresh or your meringue powder was too old. Consider replacing them and making the recipe again. You might have used oil based extracts and those delay the drying time and in some cases, your decorated cookies will not dry try at all. 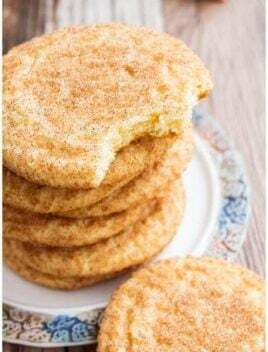 You might be living in a place with very humid climate and the moisture in the air is interfering with the recipe and delaying the drying time of your decorated cookies. Why is my royal icing too runny? You probably added too much liquid in your recipe. Is royal icing safe to eat? Yes, this icing is safe to eat. Some people are concerned about the use of egg whites and meringue powder but since they are pasteurized, they are safe for consumption. Why is there lemon juice in royal icing? Glycerin? Cream of tartar? Glycerin is sometimes added to prevent the icing from becoming too hard. Lemon juice or cream of tartar is also sometimes added to make the icing more stable. My easy royal icing recipe does not use lemon juice, cream of tartar or glycerin and it still works PERFECTLY! What is thick royal icing? What is flood royal icing? Thick icing is used for piping outlines on cookies and and it’s also great for making flowers. 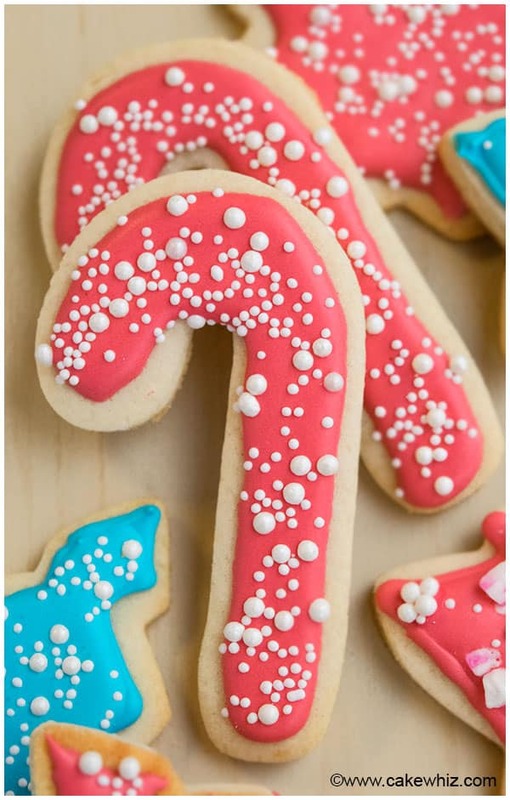 Flood icing is simply thin icing that’s used to fill the insides of the cookie outline. Royal icing for flooding is thinned out by adding more water into the recipe. Where to store royal icing? This icing must be stored in an air-tight sealed container (I like to cover the container in saran wrap too). It should be placed at room temperature away from humidity and sunlight. If exposed to air, it dries very quickly. Where to dry royal icing flowers? Where to store royal icing flowers? The flowers can be dried at room temperature or a fan can be used to speed up the drying process. Once the flowers have dried and hardened, they can be placed in a cardboard box, away from moisture, humidity and sunlight and they will last for months and can be used to decorate cakes and cupcakes. Are royal icing and fondant the same? Is royal icing like fondant? Are royal icing and buttercream frosting the same? The answer to all three questions is NO. They are not the same. Royal icing icing is a type of frosting that dries hard. Fondant is a thick sugar dough that’s soft and pliable and can be rolled out. It’s used to cover buttercream frosted cakes. Finally, buttercream icing is made by mixing butter or shortening with powdered sugar. It’s very soft and creamy and used for filling and frosting cakes and cupcakes. It does not dry or become hard! What are royal icing transfers? This is a cake and cookie decorating technique in which you pipe the design on a sheet of wax paper and let the icing dry. 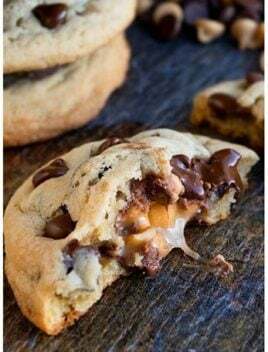 Once the design is dry, you can carefully peel it off from the wax paper and stick it onto your cookies, cakes or cupcakes. Can you make royal icing without electric mixer? No, this icing needs to be beaten until stiff peaks form and you definitely need a stand mixer or an electric mixer for that. Royal icing vs. Glace icing? Glace icing is also used for cookie decorating. It dries hard but has a glossy finish. It’s also egg-free (no egg whites and no meringue powder), making it perfect for people with egg allergies. It can also be made vegan, if dairy-free milk is used. I have heard people say that Glace icing is like a royal icing recipe without eggs…lol. This is my glace icing recipe. How much royal icing is needed for gingerbread house? This icing works as a great GLUE for sticking all the gingerbread cookie pieces together. But, the amount of icing needed truly depends on how big your gingerbread house is. For basic small gingerbread houses, my small batch icing recipe that I am sharing today is more than enough. I have a very detailed tutorial for making a gingerbread house that you should check out during Christmas time! In a deep bowl, add meringue powder and warm water. Beat this for about 1 minute until you have a white and frothy mixture. Add powdered sugar, corn syrup and vanilla extract and start mixing at medium to medium-high speed. Continue mixing until your icing becomes thick and peaks start forming, as shown in this picture. This usually takes about 5 minutes of mixing at high speed. Note: This icing is at the “thick consistency stage.” You can add some water to thin it out if you need your icing to be thinner. Please remember that a little water goes a LONG way. Add only 1/4 tsp water at a time and make sure to mix properly again. 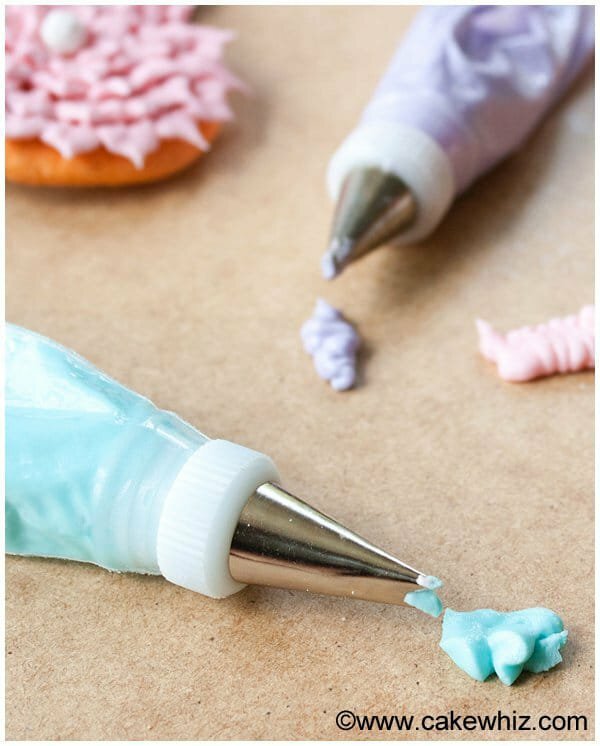 You can now color your icing with gel colors. 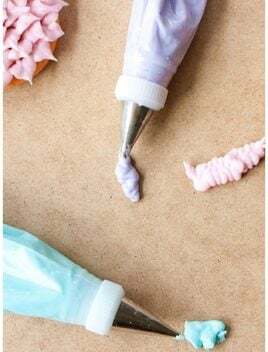 Use a toothpick to add gel colors into your icing. Mix with a spoon until the color is fully blended into your icing. Note: The color of your icings will get deeper and better the longer they sit. This icing dries very quickly, if exposed to air. Make sure you store it in a plastic container with a tight lid. Also, cover your entire container in saran wrap. Use this icing immediately for your decorations OR allow it to sit at room temperature (fully sealed) until needed. Use within 1 week. But, remember that you will have to whip it again because this icing has a tendency to separate into sugar and water, the longer it sits. This is a small batch royal icing recipe and yields about 1 1/2 cups of icing. 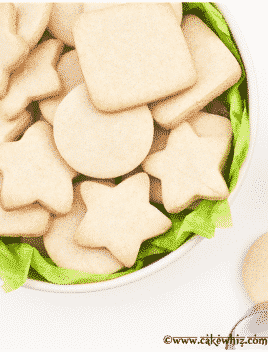 It’s great for times when you just need to decorate a few cookies. Outline icing should be the consistency of toothpaste and filling or flooding icing should be the consistency of corn syrup. For true white icing, use clear extract to avoid discoloration OR use white gel coloring. Until next time, take care my lovelies! I’ve never done sugar cookies so just wondering if there’s a trick to spreading the icing onto the cookies? I make an outline around the cookie first with thick royal icing and then I fill the inside with thinner royal icing and spread it out with a toothpick. You can see it in the video too. That’s the easiest way for me. Where do u find meringue powder? You can find it on Amazon, Hobby Lobby, Michaels.